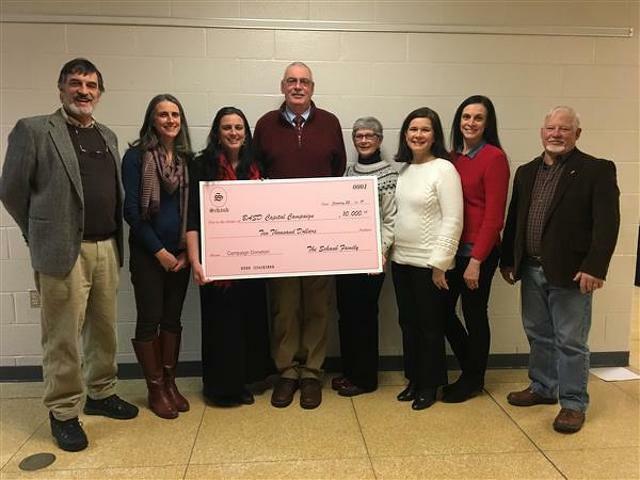 Longtime Bellefonte coach Dave Schaub and his family present a check to the school board for naming rights to the new jumping pits in Rogers Stadium. Now his name will live on at the new jumping pits at Rogers Stadium after his family donated $10,000 to the capital campaign for the stadium for naming rights. His family was at the school board meeting on Jan. 22 to make the donation. “My sisters and I grew up loving our hometown and high school. The gym and the fields weren’t only our dad’s second home, but ours, as well. A date for my mom and dad included a Friday night game or even an end-of-season banquet. When we learned of the opportunity to give back to the community, my mom and my sisters and I all knew we wanted our dad’s name to be a part of the new facility. After all, he spent 42 years total coaching at Rogers Stadium,” a message from his daughters said. They said the jumping pits are a special place because he coached them in jumping events while they were in high school. Through the years, he also coached both U.S. Navy Lt. Jonas Panik, a Class of 1993 graduate who lost his life on Sept. 11, 2001, in the terrorist attack on the Pentagon; and Jeremy Herbstritt, a Class of 1998 graduate who was a victim of the Virginia Tech shooting in April 2007. Both were members of the track and field team at Bellefonte Area High School. The track at Rogers Stadium was recently named in their memory, thanks to a $250,000 combined donation from the Jeremy Herbstritt Foundation and Reliance Bank. 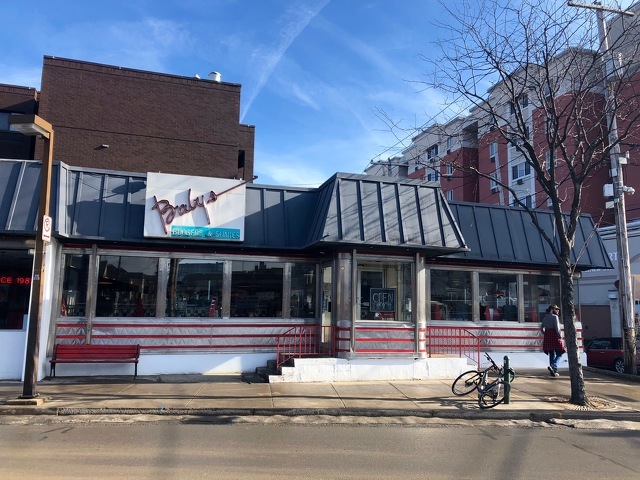 State College Borough Council on Monday approved a license agreement allowing a small amount of outdoor seating at Baby's Burgers and Shakes, 131 S. Garner St.